Designing her wedding reception to "feel like coming home" to her mother's house, Mary made sure to select decor details that spoke to her heart. 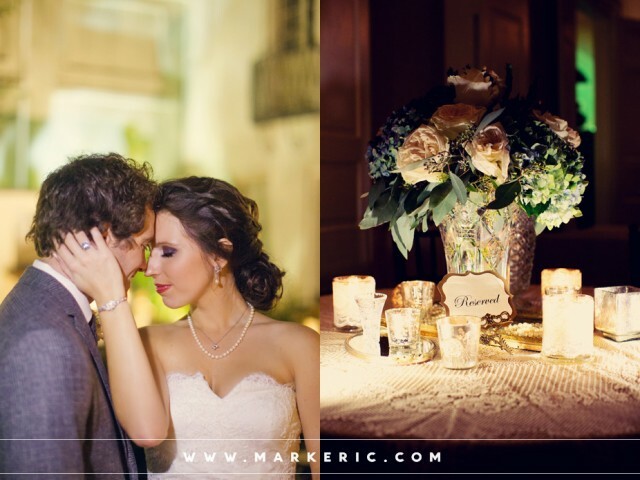 All the crystal, lace, silver, mercury glass, and family photos were brought in by her mother for this truly romantic event at Maison Montegut. We are excited to announce that our film has been featured alongside the work of their fantastic New Orleans photographer, Mark Eric, in the blog for brides who love vintage and handmade details, Glamour and Grace.